Deemed “the world’s first internet-based live television station” by the The London Economic, The People’s Voice (TPV) permanently aired worldwide on November 25, 2013. TPV television and radio is scheduled to broadcast 24/7 with both live and prerecorded shows nonstop. “The People’s Voice is a free global internet TV & Radio station broadcasting the information, background and opinions the mainstream media won’t touch,” states the television network’s website. The public agreed and reacted. According to Sean Adl-Tabatabai, “large numbers of small donations from all over the world” contributed towards the campaign. Surpassing the expected goal of £100,000 GBP within 6 days by more than a threefold increase, TPV was able to raise £300,692 GBP of financial support in the 41 days that the campaign lasted. TPV was launched less than 5 months later. The main intent of TPV is “to question the official and alternative view of everything in the spirit of real journalism and the pursuit of the truth.” The station is currently comprised of 28 programs featuring a broad range of themes including art, awakening, comedians, corruption, esotericism, health, music, phone-ins, politics, science, spirituality, and the list goes on. For more information, check out Luke Rudkowski’s video interview covering The People’s Voice with David Icke. 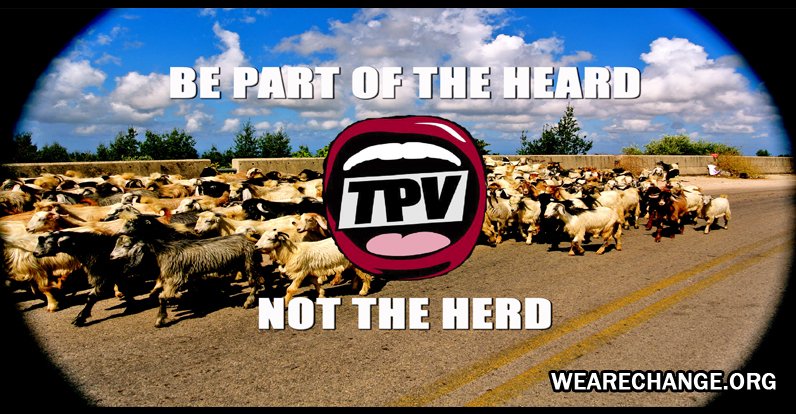 To support The People’s Voice, follow TPV on Facebook and tweet #TPV on Twitter.